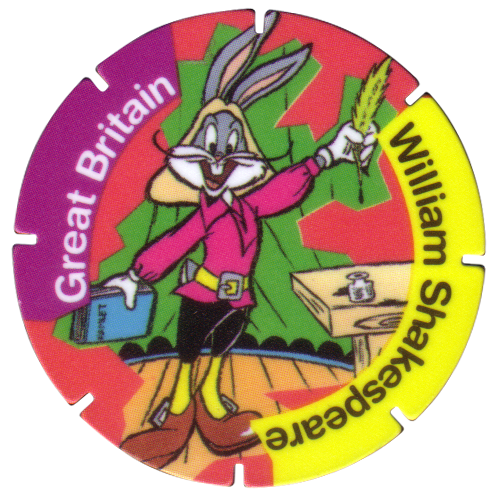 Info:World Tazos were given away in packets of Walkers crisps after the original series of Looney Tunes Tazos proved a great success. 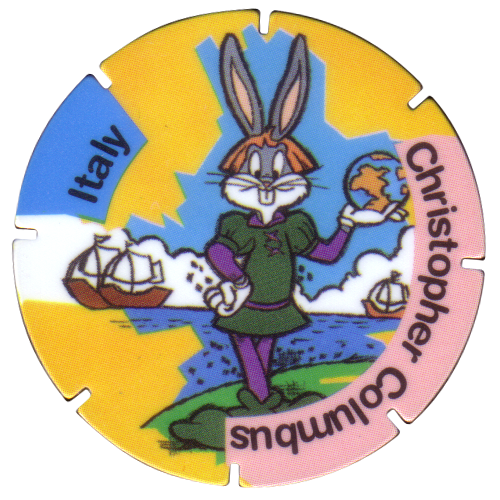 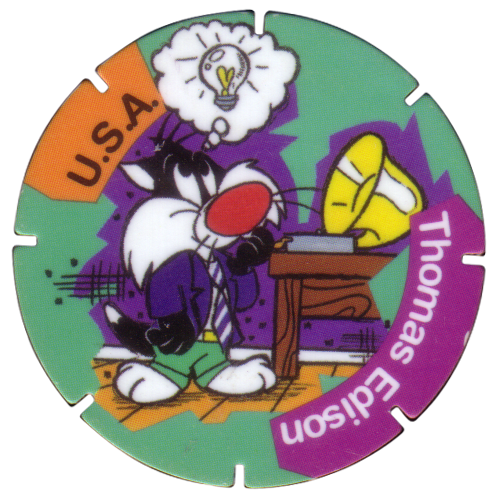 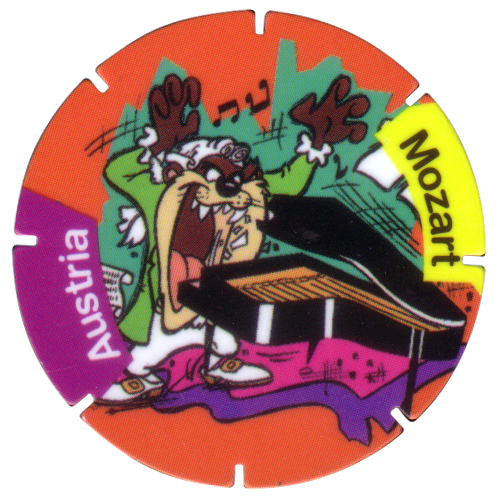 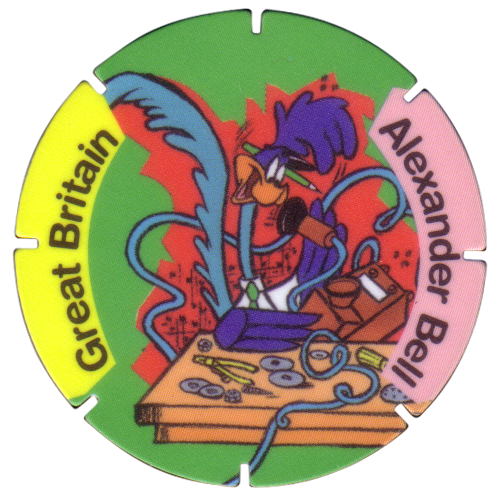 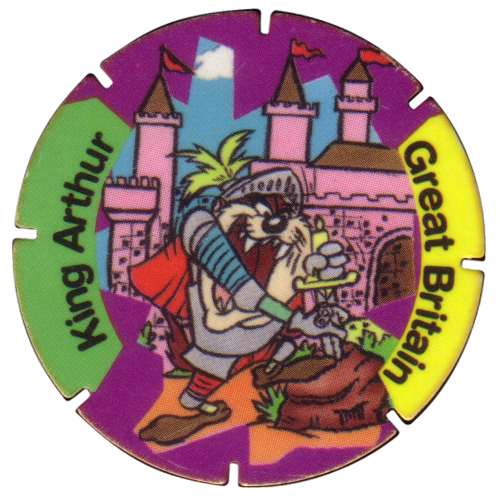 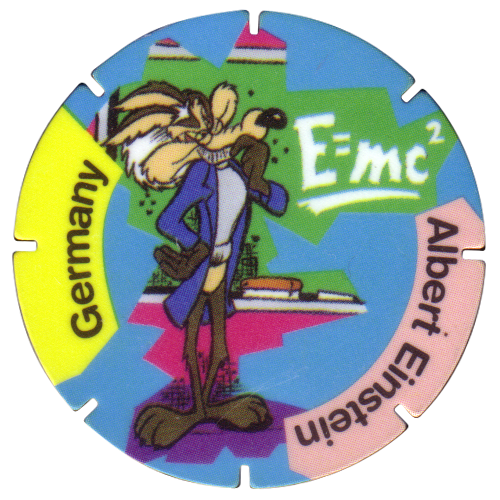 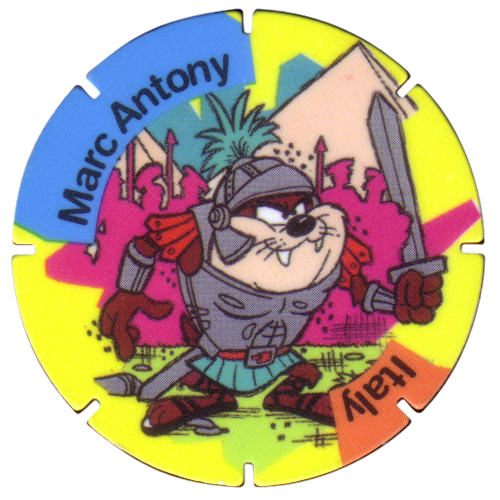 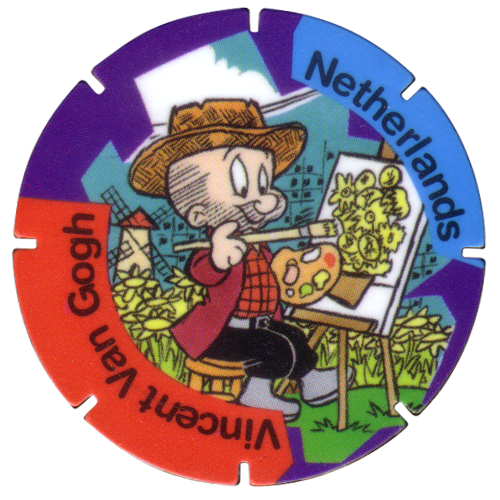 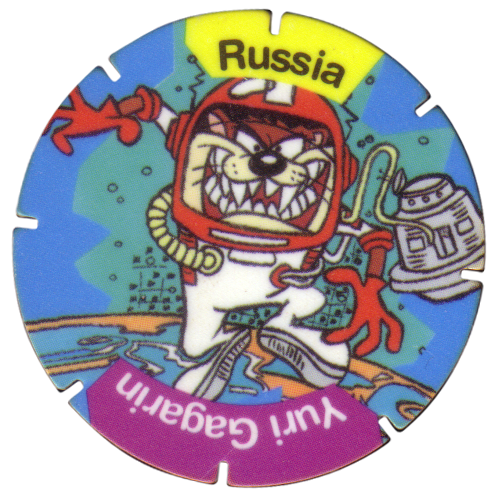 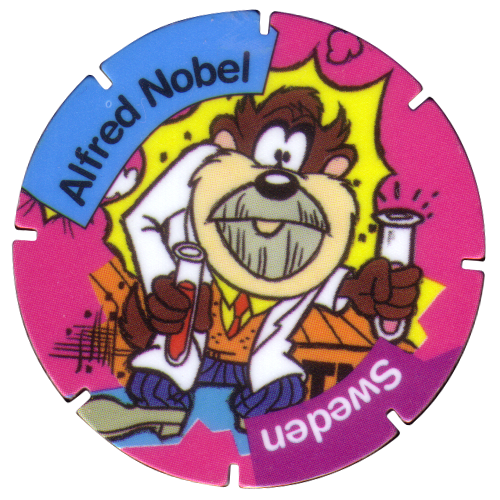 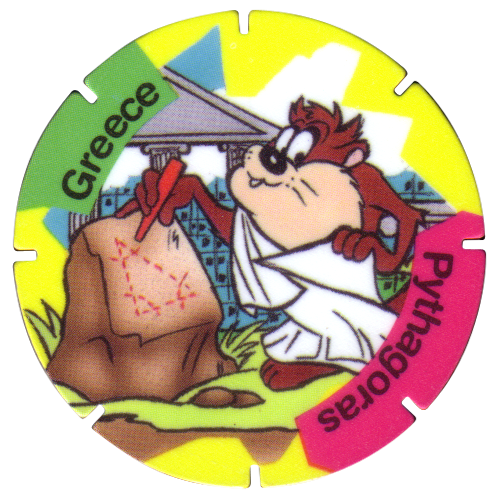 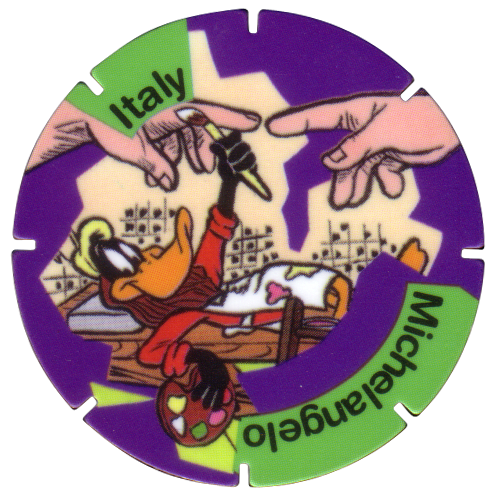 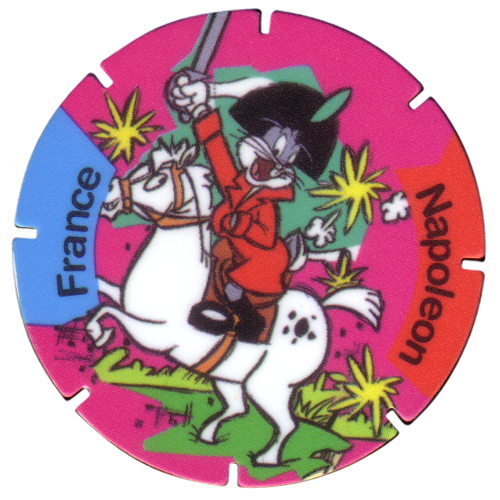 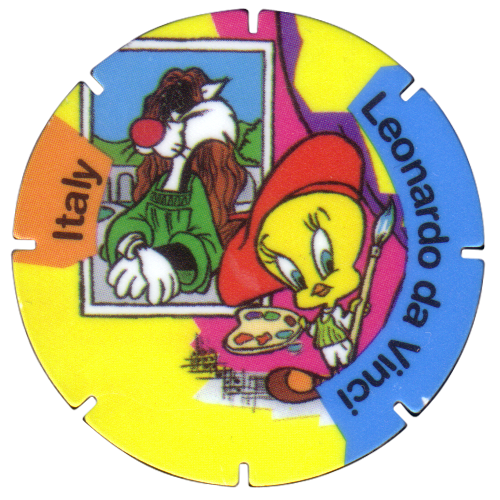 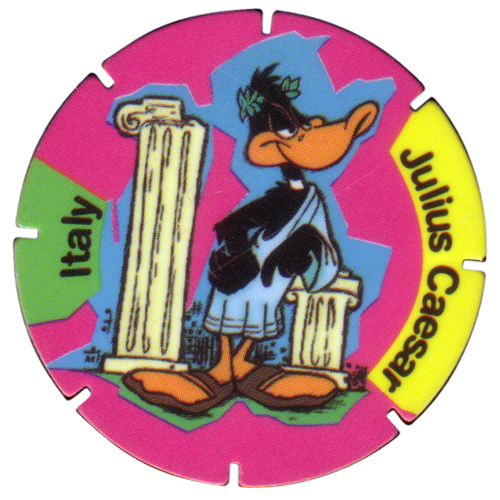 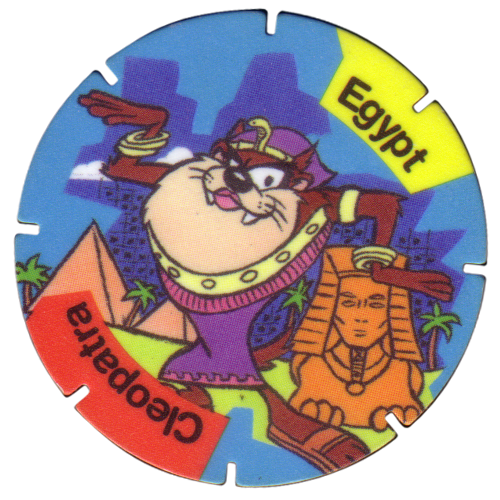 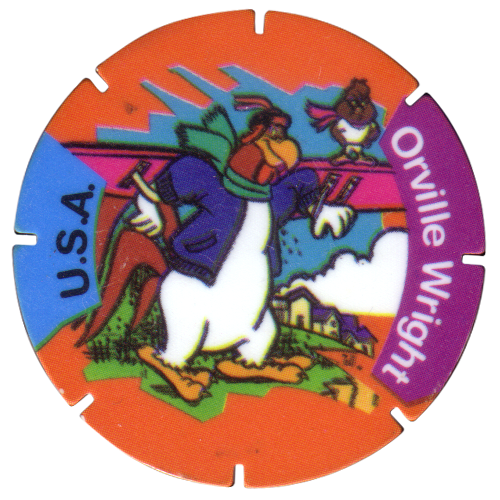 The World Tazos were numbered from 51-70, following on from the numbering of the Looney Tunes Tazos. 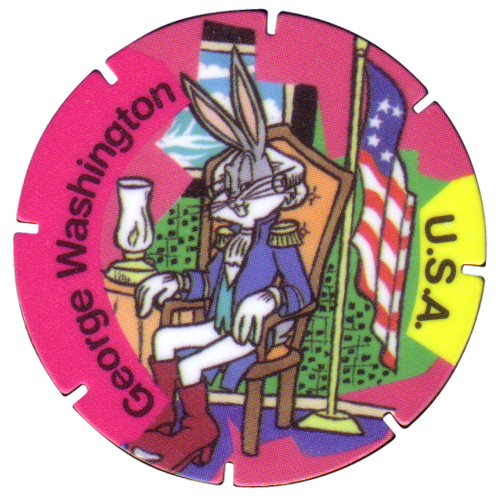 They feature various Warner Bros. Looney Tunes characters dressed up as famous historical people from around the World. 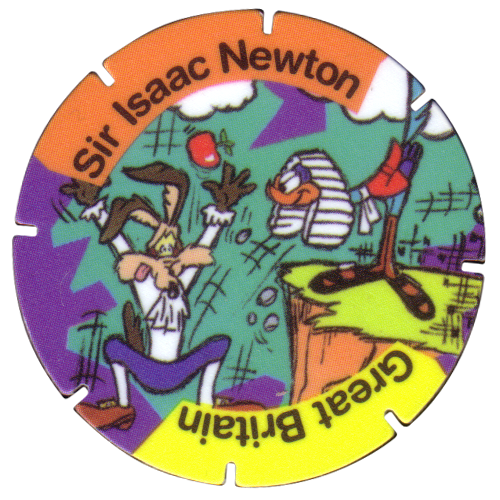 On the back of each Tazo it has the name of the famous person being depicted, and a point score, which ranges from 2 - 20 points. 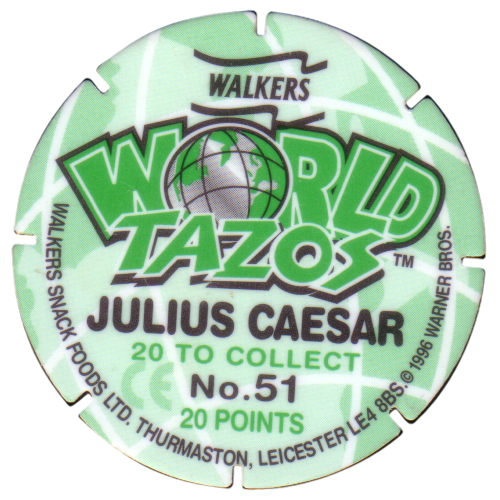 Below is the full set of 20 World Tazos.